Discussion in 'The Lounge' started by Total Heckler, Feb 13, 2013. The build I can afford would be a lower end Shimano SLX kit with RockShocks suspension. This build kit would be a pretty similar Shimano SLX build with Fox suspension and Reverb seat post. I can get both for a very similar price and they both weigh in about the same (30-31lbs). I am going to be using the bike as an all around bike that will probably see some rough trails. Any advice or thoughts? Any other bikes you think I should look into (under 3k complete)? 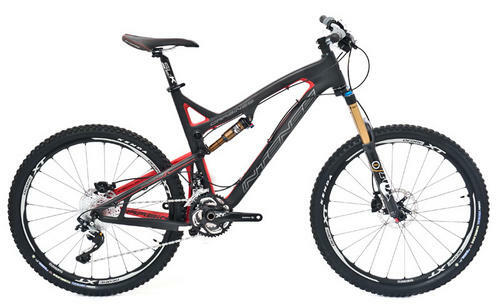 at the price range, you could also check the scott genius lt40 (although it comes with basic parts). I'd go SC based on my prior QA issues w/ Intense. I really recommend riding a SB66c first. It blew me away the first time I rode it. F*ing amazing. thats the biggest lie in mountain biking ever. i´ve told that to my wife for each of the last 3 bikes i´ve bought. Love my nomadc. Great bike. Banshee Rune, once you go slack you never go back. I have a Spitfire with a 66&#12331;HA and low BB. Rails the snot out of any corner. 'Have to agree with Stoney WRT QA/Intense. I like the Nomad, If you can add a look at the SB66 and even the '13 Banshee Rune. 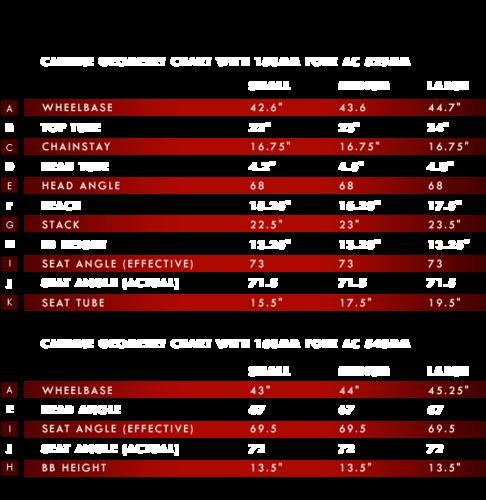 I'm wookie sized, so I'm somewhat hooked on the 29 thing, (better fit IMO)...that said, if you're inclined to throw a leg over a comparable group of 29ers, they would include: Santa Cruz Tallboy LT, Yeti SB95, and Banshee Prime. I'm sure there are others, but that's what comes to mind ATM. Is it possible to get the yeti under 3k complete? You are able to get a Carbine or Nomadc under 3k complete? I just saw a 66c on sale for ~3500ish. i still have my spooky. What he said. And you have an awesome spec on your Tomac. Did you sell it whole? You have to ride them. I was sold on a TRc until I rode one. The sizing is odd and it puts me dead between sizes. I also decided I don't like VPP. I was coming off an Intense. Been selling parts off it to fund the new bike. Still have a Hammerschmidt, vengeance fork, wheels, tires, brakes, etc. for sale if anyone is interested. Leaning towards the sc at the moment. Telling you, having ridden the predecessors to both intense and SC, I was blown away by the SB. That's all I can add, but holy isht does it ride well. If I could only have one bike for all bay area riding, that would be it. Back OT, those two bikes are remarkably similar. I think I'd head for the SC just based on Intense's bike schizophrenia. In two months they'll completely ditch what they're doing and opt for something totally different, and your bike will be left in the dust. The Nomad has had some time to get sorted. Also, I'd actually consider a banshee for the first time. The new rune looks pretty good, although you can only run it in retard slack mode. hope you never have to climb or slow down! They've also finally sorted out their bushing system by not using them, despite almost everyone else in the industry already having figured this out. Does it share the wannabe-DW leverage rate that the legend has though? I'd get a Banshee in a second. I'm a believer after buying a Legend MKII.